The original quality formula. Hard setting, economical sealant. 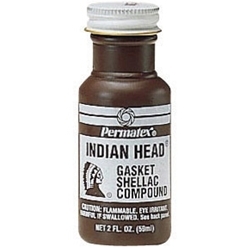 Seals all common gasketing materials in low temperature and low pressure applications. Temperature range -65°F to 350°F (-54°C to 177°C); resists diesel fuels and most shop fluids.